Today’s post was written by Lori Wright, general manager for Microsoft Teams and Skype product marketing. Today at Microsoft Ignite in Orlando, Florida, we introduced a new vision for intelligent communications, transforming calling and meeting experiences for people and organizations around the world. Intelligent communications go beyond traditional unified communications, enabling you to complete tasks more efficiently with minimal context switching, participate in more productive meetings that cover the entire meeting lifecycle, and better manage your everyday communications overload. Microsoft Teams is core to our vision for intelligent communications—bringing together conversations, meetings, files, Office apps, and third-party integrations—to provide a single hub for teamwork in Office 365. Teams is now being used by over 125,000 organizations across the world in just six months since its launch. Its strong momentum has proven that teamwork is essential to the way work gets done today. To achieve our vision for intelligent communications, we are bringing comprehensive calling and meetings capabilities into Teams, along with data and insights from the Microsoft Graph, and a strong roadmap of innovation to empower teams to achieve more. As we build out these capabilities, Teams will evolve as the primary client for intelligent communications in Office 365, replacing the current Skype for Business client over time. Over the past six months, we’ve continued to enhance the communications capabilities in Teams, with new features like scheduled meetings, Outlook calendar integration, and meetings on mobile. Also, earlier this month, we began rolling out guest access—so you can use Teams to collaborate with people outside your company. In the coming months, we will begin adding calling features in Teams—including inbound and outbound calls to PSTN numbers, hold, call transfer, and voicemail. We are also introducing new enhancements to Teams meetings, including audio conferencing (available in preview today)—enabling participants to join a Teams meeting by dialing a telephone number—and interoperability between Teams and Skype for Business, including universal presence, and messaging and calling interoperability. We remain committed to bringing the familiar Skype experience into any and every meeting room. We have seen strong customer momentum with Skype Rooms Systems. Today, Lenovo announced they will bring to market a new Skype Room Systems device, Smart Hub 500, expanding on the current portfolio of Skype Room Systems with Logitech, Crestron, and Polycom. In addition, Polycom, Pexip, and Blue Jeans Networks will deliver cloud video interop capabilities within Teams. This adds to the existing video interop capabilities for Skype for Business delivered by Polycom’s RealConnect for Office 365 and Pexip’s Infinity Fusion product. 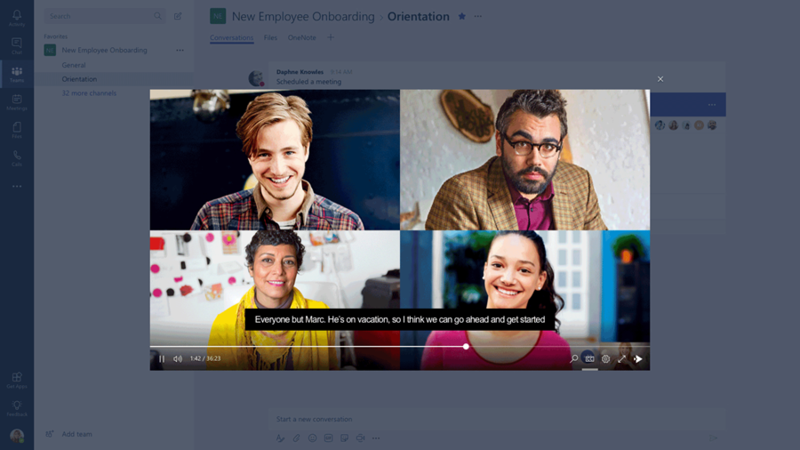 Office 365 customers can take advantage of the capabilities in Microsoft Teams starting today. We are committed to providing visibility into the Teams product roadmap, so our customers can assess when Teams is right for them. We intend to make an updated roadmap for Teams available in October. We plan to continue to offer and support Skype for Business in Office 365 and Skype for Business Server on-premises. For customers who are not yet ready to move their PBX and advanced calling capabilities to the cloud, we will release a new version of Skype for Business Server targeted for the second half of calendar year 2018. 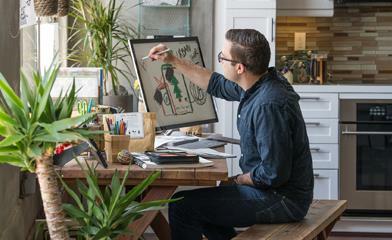 We encourage every Office 365 customer to begin using Teams today. Office 365 customers currently using Skype for Business can find guidance and resources on the intelligent communications page in the FastTrack portal.